On 25 July 1793, Sémonville and Maret were arrested in Novate Mezzola in Italy, near the Swiss border, by mercenaries working for Austria. The entire diplomatic delegation, including Hélène de Montgeroult and her husband, were captured. 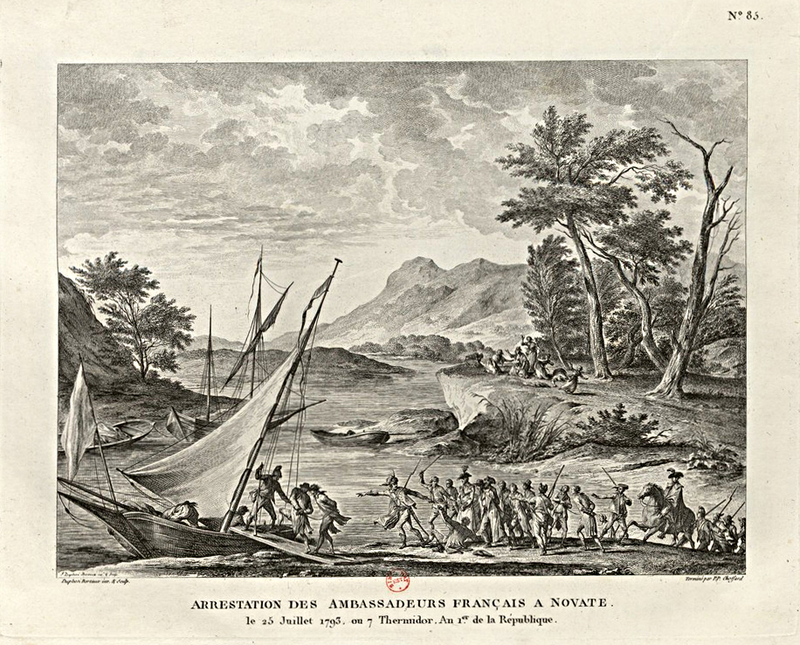 The Marquis de Montgeroult, who may be the person wearing the plumed hat in the engraving (it would correspond to his rank as field marshal), was forced, along with his colleagues, into a boat on Lake Mezzola, which flows into Lake Como. He died two months later in a prison in Mantua. The lamenting women, Hélène de Montgeroult and Mme. De Sémonville, pictured in the background were released.